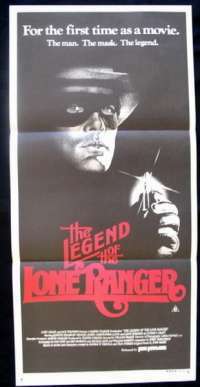 Poster artwork by Ron Lessor. 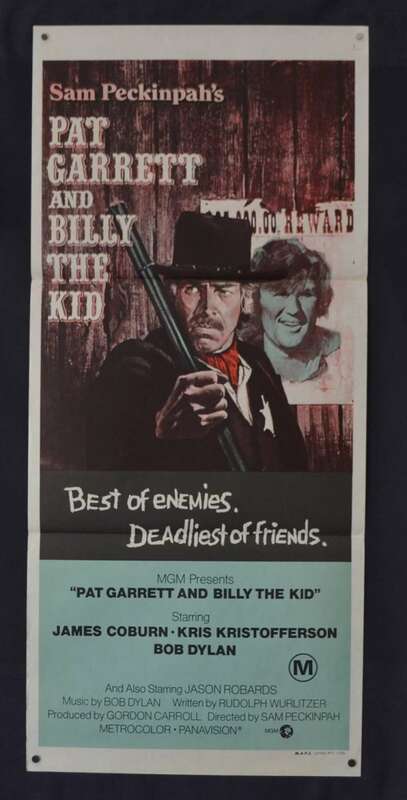 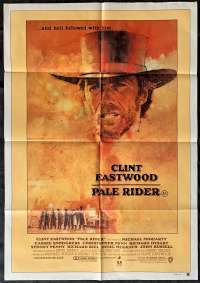 Pat Garrett and Billy the Kid is a 1973 American western drama film directed by Sam Peckinpah, written by Rudy Wurlitzer, and stars James Coburn, Kris Kristofferson, Richard Jaeckel, Katy Jurado, Chill Wills, Barry Sullivan, Jason Robards and Bob Dylan. 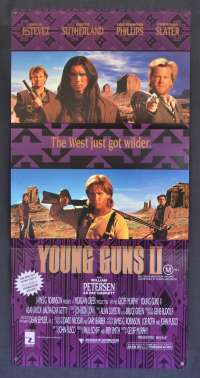 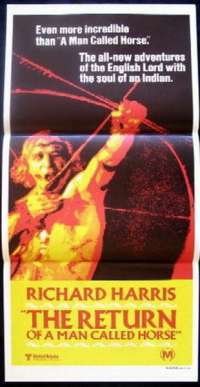 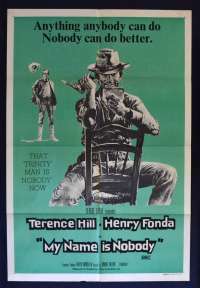 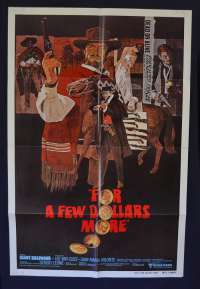 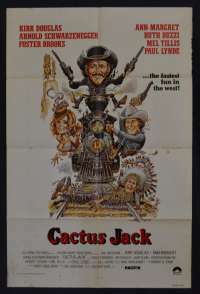 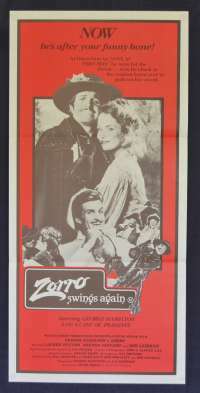 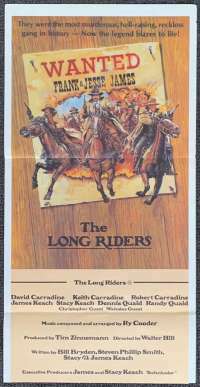 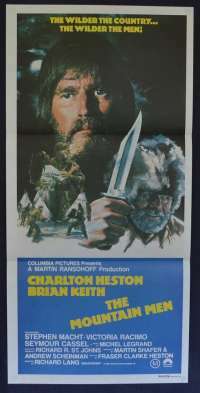 Peckinpah believed that this was his chance to make a definitive statement on the Western genre and complete the revision that he had begun with Ride the High Country (1962) and The Wild Bunch (1969).The film is about an aging Pat Garrett (Coburn), hired as a lawman by a group of wealthy New Mexico cattle barons to bring down his old friend Billy the Kid (Kristofferson).Dylan composed the score and songs for the film, most prominently "Knockin' on Heaven's Door", which were released on its soundtrack album the same year. 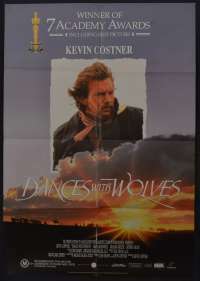 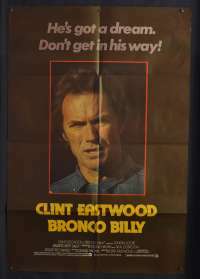 It was filmed on location in Durango, Mexico,and was nominated for two BAFTA Awards for Film Music (Dylan) and Most Promising Newcomer (Kristofferson). 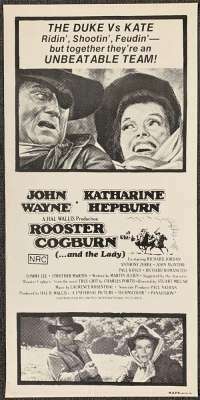 It was also nominated for a Grammy Award for Album of Best Original Score (Dylan). 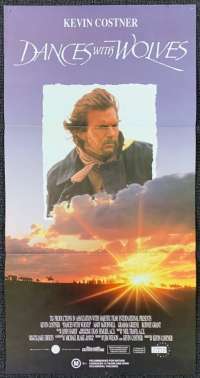 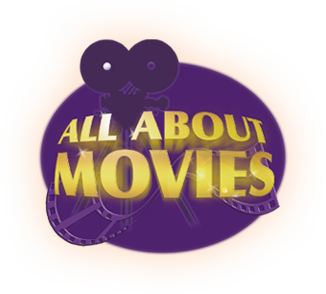 Two versions of the film exist, the first was an edited re-working by the studio that was largely disliked by cast and crew.A second was the original Director’s cut that has since gone on to be considered a classic by critics.